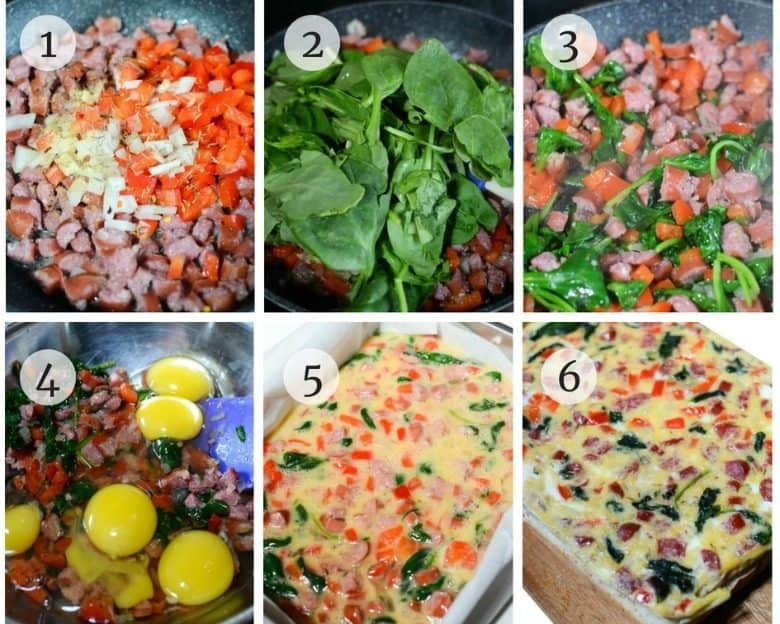 I love this Breakfast for Dinner Sliders Recipe because it has eggs, spinach, sausage and is just plain yummy! Breakfast for dinner is a treat around here anyway, however, adding Hawaiian rolls well, that is super duper special! We will often have scrambled eggs for dinner but this sliders recipe takes it a notch (or two or three) up! Yep, breakfast for dinner is just plain good. I know what you are probably thinking – are Hawaiian rolls healthy? Well, I will admit, I do not usually serve them. However, for treats, I remember the 80/20 rule and just indulge without guilt! In a small bowl, combine the melted butter, garlic, and parsley. Bake according to recipe, cool slightly and enjoy! Other types of sausage can be substituted for Kielbasa. Dinner rolls that come in trays are also delish if Hawaiian rolls are not available. If you’ve tried this BREAKFAST FOR DINNER SLIDERS RECIPE or any other recipe on Cultured Palate please take a minute to rate the recipe and leave a comment letting me know how you liked it. I love hearing from you! You can also FOLLOW ME on PINTEREST, FACEBOOK, INSTAGRAM, YouTube and TWITTER. 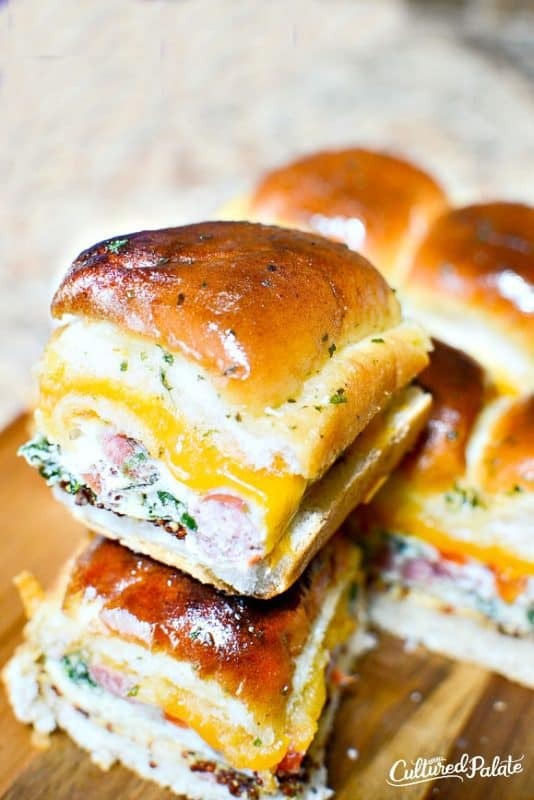 I love having breakfast for dinner and these egg and spinach sliders fit the bill! 12 Hawaiian rolls, still connected. ½ tsp parsley, dried or fresh. Line a shallow pan (that the connected buns will fit into) with parchment paper, as this is also the pan you will be using to cook the egg mixture. Place connected buns onto a shallow pan for baking. Combine the sausage, onion, garlic, salt, pepper, and red pepper in a frying pan and saute until softened, approximately 4 – 5 minutes. Add the spinach and saute until it’s wilted. Set aside to cool slightly. Once cooled, transfer to a bowl and add the 6 eggs. Mix thoroughly. Pour into the lined baking pan. Bake for approximately 15 minutes or until the egg is fully cooked and solid. Remove from the pan by grabbing the sides of the parchment paper to cool slightly. Meanwhile, with a long serrated bread knife, cut the tray buns in half horizontally. Place the bottom portion of the buns in the baking pan and spread with the mustard. Carefully remove the parchment from the egg mixture and place on top of the bottom tray bun portion. 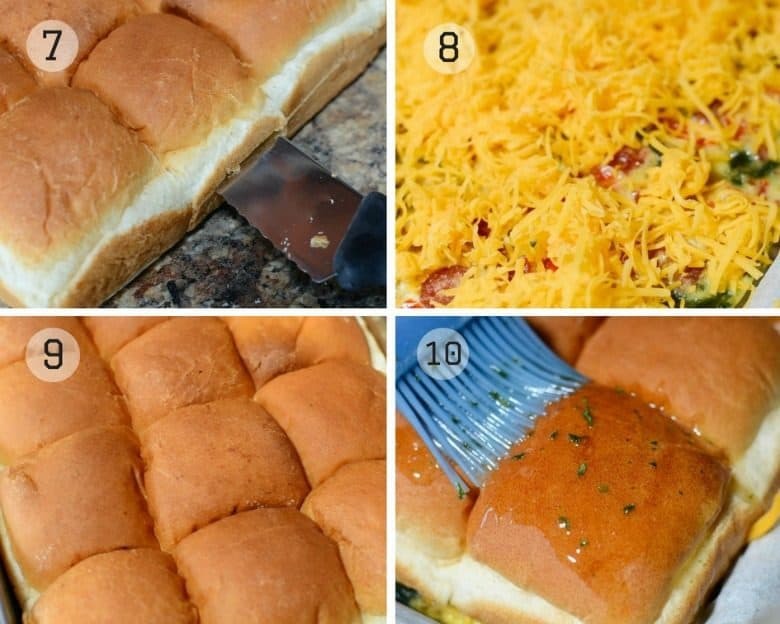 Cover the cheese with the top of the tray bun portion. Brush the tops of the buns with the butter mixture. Bake in the oven for approximately 8 – 10 minutes, or until the tops are golden brown and the cheese has melted. Remove from the oven, let cool slightly, and cut into pieces to enjoy! No extra butter is used for sauteing as the fat in the sausage should be enough. One bite and my eyes rolled back in my head from the burst of flavor. I almost died! these are stinking amazing!!!!!!!!! My family loves these too, Hanna. They are a bit more involved than my usual recipe but totally worth every step!